Bikram Hot Yoga – Ash Hot Yoga Babylon, Co.
How did Bikram Hot Yoga save the life of this Massapequa resident? Hot yoga is a trend sweeping across the United States, but what is it? How do you get involved? 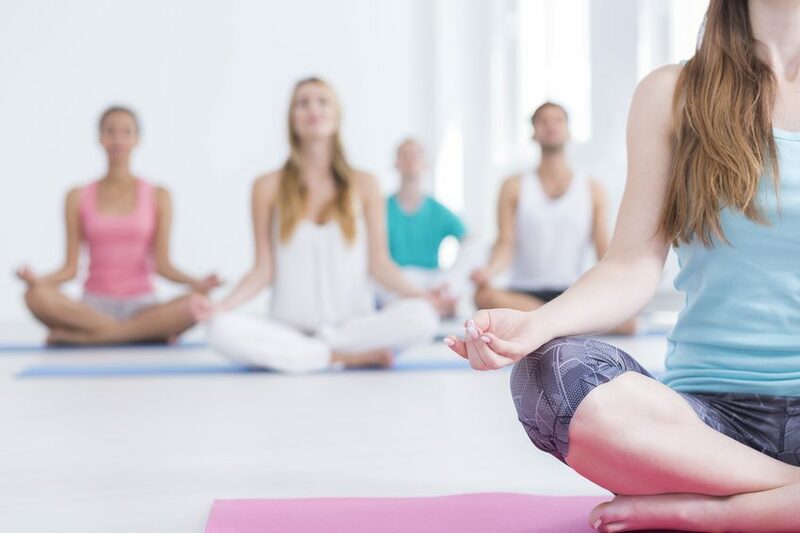 If you’re looking to heal your body or mind as you improve your strength and flexibility, taking hot yoga classes might be the perfect activity for you. Hot yoga is a form of yoga developed by Bikram Choudhury in the 1970s. It blends traditional yoga techniques with a heated, humid environment built to stimulate sweat. Bikram hot yoga classes are heated to a temperature of 35 to 42 degrees Celsius, or nearly 105 degrees Fahrenheit. If you are sick or sensitive to heating conditions, this style of yoga might not be right for you. To truly engage in Bikram hot yoga, the instructors must be Bikram trained before they are able to teach others and incorporate their own methodologies into the class. Typically, local hot yoga classes will go through 26 asanas. How does hot yoga benefit me? Bikram hot yoga is great for weight loss. In fact, in a controlled 48-week study, hot yoga participants lost more subcutaneous fat than the stretching group and were able to retain the weight loss after the program ended. This style of yoga improves flexibility, strength, cardiovascular health, and balance. Additionally, some studies show that raising your core body temperature can subdue symptoms of depression. Bikram has also been shown to really ease symptoms of arthritis, back pain, asthma and so much more. While true Bikram hot yoga classes are led by those who are Bikram certified, many others have modified their teachings using this hot yoga as a guide for their practice. Look for hot yoga deals in your area and don’t be afraid to visit a local hot yoga studio if you have any questions. Before you go to your first lesson, however, be sure to drink a lot of water the day before. Bring a bottle of water with you to retain your fluids and remember to rest frequently and go at your own pace when you take your first hot yoga class. Life can be super stressful. The stress can lead to lack of sleep, forgetfulness, and overeating. How can we relieve some of that stress? The answer is simpler than you may think. One of the biggest benefits of taking hot yoga classes is stress relief. Hot bikram yoga is particularly useful for relieving stress. Let’s look at a few stress-free benefits of this type of hot yoga class. When people are stressed, many of them will turn to binge eating. Binge eating involves eating as much as you can in one sitting, over and over again. Doctors say that the correlation between stress and cortisol impacts effective eating. This type of yoga can decrease the cortisol levels and act as an intervention for effective eating. Your mind won’t be focused on eating so much when you leave the studio following your hot yoga class. Looking for the ultimate relaxation solution? Hot yoga is your answer. Sometimes when a person is stressed, they have a hard time falling asleep. Hot yoga has been associated with helping a person fall asleep quickly. It also allows you to clear your mind and look at life with serenity. Your body will be so relaxed that you won’t want to be awake! 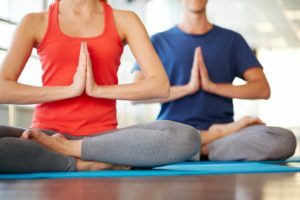 Along with being helpful in terms of stress-relief, hot bikram yoga can help with a number of other mental health issues. In fact, a 2016 pilot study of “psychologically distressed” women, a medical term for stress, found that after only eight weeks of yoga instruction, female participants had lower levels of immune system biomarkers linked to stress levels. In other instances, yoga has been known to reduce emotional eating and increase DT. It also found that absorption, which is a component of the cognitive processing of distress, was positively impacted by yoga. Yoga is not only good for the body, it’s clearly good for the mind as well. If you find yourself struggling with stress in any of the above forms, give hot bikram yoga a try! Feeling stiff and inflexible is one of the main reasons people decide to attend Bikram Hot Yoga classes in Babylon, NY. However, you’ll steadily become more flexible than you ever imagined possible over time. Most Bikram Hot Yoga classes at Suffolk County studios like Ash Hot Yoga are now composed of 30% to 50% men. So while it may be true that most classes are majority women more and more men are finding the practice. They come to heal old injuries, rebuild cartilage and, at the same time, enjoy a wider range of health benefits. Doctors are finally prescribing yoga to men, giving them the opportunity to experience a much better pain free life. Most studios offer monthly specials for unlimited yoga classes and Pilates classes, reducing the average cost to about $8 per class. Yoga is not a splurge—it’s an investment in your health, fitness, and peace of mind. Thus for example if you skip that latte twice a week, you can start a consistent practice. Myth #4: Hot Yoga Is TOO Hot! 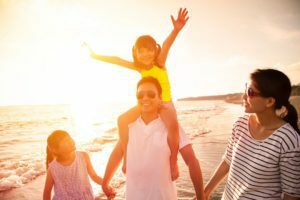 Setting the heat at 105 degrees and 40% humidity provides major health benefits including: heals tissues, burns more calories, balances blood sugar and hormones, strengthens immune system, increases respiration, lung capacity and efficiency. The Heat also helps us release toxins to the surface of the skin, which is our largest organ and contrary to popular belief, Hot Yoga is not as hot as a sauna or hot tub. Bikram Hot Yoga Classes heal you from the inside out when you practice it regularly. Yogis (practitioners of yoga) get sick less and hardly ever have chronic illnesses. The average yogi spends about 1% of income on health issues opposed to 26% or more for non-yogis. You’re never too old to practice all beginner yoga postures. The regular practice of Bikram Hot Yoga reverses aging by building cartilage, increasing flexibility, lowering blood pressure, and delivering many other age-reversing, invigorating benefits. You’re never too old to practice all beginner yoga postures. The older you get, actually the better you will do. It has nothing to do with religion and is based on the science of mind-and-body connection. Even though the word yoga appeared in ancient Hindu books over 5000 years ago, yoga is now available to everyone. Practitioners get to enjoy optimal health when all systems begin to work in harmony. Yoga helps you achieve a joyous life-affirming state of mind and body. Even though the average person burns 600-1000 calories in a Bikram Hot Yoga session, the internal healing is more significant. By going through the sequence of postures, you are massaging your organs, and simultaneously improving the function of your thyroid, hormones, and other problems that have caused your weight gain. This is a very physical practice. Yoga has profound positive effects on your health without causing injuries like other forms of exercise often do. Yoga builds strength and endurance while you perform smooth, flowing movements in safe positions that don’t cause harmful wear-and-tear on the body. Other types of exercise will leave you depleted but a yoga class gives you energy. So even though you are not pounding your joints, you will gain muscle tone, energy and work up a sweat unlike any other activity. Yoga is a “moving meditation.” As you move silently through yoga postures and concentrate on your breathing, your mind relaxes and frees itself from the noise of the day. Yoga’s many emotional benefits are astonishing—ranging from less anxiety and better concentration to higher self-esteem and romantic relationships that are more fulfilling. 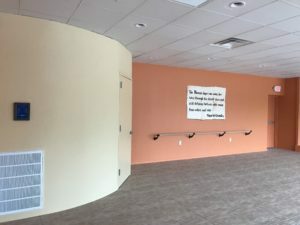 Ash Hot Yoga opened in Babylon, NY, Suffolk County with a mission to provide the community with professional Bikram hot yoga classes where people—young and old—come to learn yoga the right way and begin to heal their bodies from the inside out. 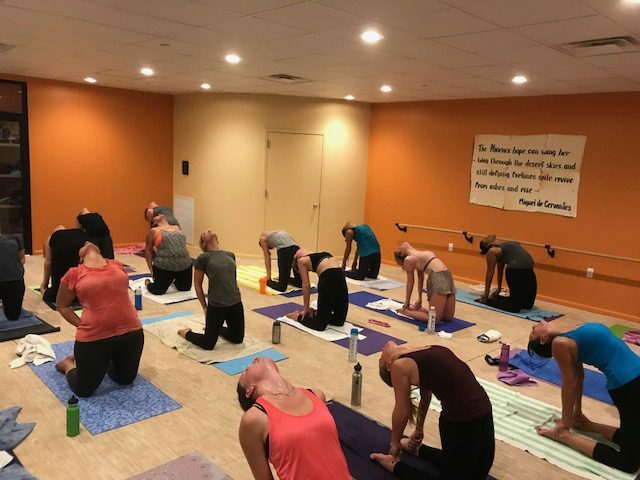 Ash Hot Yoga is a clean and safe sanctuary where yoga students pursue their practice, make friends, and enjoy the expert guidance of Long Island’s best yoga teachers. Take advantage of the great Yoga deals going on right now at Ash Hot Yoga. Yoga: What it means to me. I have been practicing Bikram Yoga now for a few years now, and I have seen my practice and life go through many changes. When I started practicing I had no idea about the journey I was beginning, so I get very excited when I see you all starting your own journeys. I was initially, motivated after seeing all my improvements in only three short months. I had lost about 15 pounds and my coworkers told me I was no longer a bully (that still makes me smile). Without noticing, my mannerisms were changing. I was calmer and not so agitated even though I was still in my high stress job. 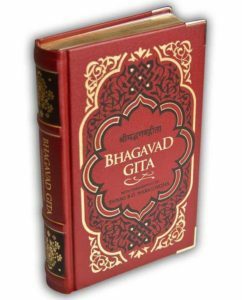 I then bought a book called Bhagavad Gita after about 6 months of practicing because I wanted to learn more and more about this new “exercise” I was doing. I wanted to know more about this practice that was slowly transforming me mentally and physically. I had to open my mind and realize that I had to be willing to truly adapt to a new way of thinking. The more books that I read, the more I wanted to read. The more I learned, the more I began to understand that Yoga was not merely exercise, it was so much more. In the last few years I have been telling my friends, “Yoga is life. Yoga is everything.” We are all born with purpose and practicing helps you to find out what that purpose is. Yoga has many limbs and branches, and we will form our own connections have our own understanding, but what you will also learn, is that the practice doesn’t end when we leave our mats. No, it becomes a part of you; your work, your family, your day-to-day interactions, your perception of the world, your entire life, and how begin to choose to live that life. For me, I started to make better choices. It became easier to be open and honest in my marriage, with my children, and with my friends. To me, Yoga means union. When your body, mind and soul become one, you can find peace and be less affected by the turmoil of the environments we live in. My view is that we suffer because of the mind. The mind is powerful and the things we tell ourselves can heal and they can harm. The body is temporary, the soul is eternal, but the mind is neither. That’s the one that we need to work on first. Most of the problems with the body and soul are caused by the mind. A way to true way to happiness is to control the mind. By entering a room at 105 degrees and 40% humidity, I have been able to quiet my mind and rewire my brain. I no longer think I am too fat, or too skinny, to old, or too young… I just think I am “me” and I am finally happy with that. I can think more clearly, and I am perfect. I am who I want to be. I am me – 100% me – even with scars, stretch marks and little yoga shorts. I no longer live on a superficial level. My heart and mind are open to love myself more fully and in turn, to fully love those around me. I know what I want and I get it 100% of the time… all the time. I am focused, I’m not overly emotional and I rarely get truly angry. I taste every bite of my food and enjoy little moments. I am present. I have finally found my purpose and I love it. I have a new job. My job is to bring yoga to as many people as possible. My purpose is to help people heal themselves and live their best lives. My job is to connect people with themselves and with each other, one posture at a time. I love the people I work with. I love the people in my practice. I love all the stories we carry and all the things that make us unique. The day I entered that room was the day I started to wake up. To think I was completely sleeping until I was 33 years old! Now that’s sad, but I am happy that I did wake up. And once I did, I decided I wanted to teach yoga to let people know what is possible, and to help them reach for those possibilities. I have not arrived; my journey continues every day with every posture and with every breath I take. Through yoga I get closer. I feel it as it fills my lungs in that room. Something happens when you commit to spending 90 minutes staring and yourself in a mirror while focusing on the breaths that feed you. By doing this you can control your mind, reset your priorities, and then in turn, control your life. You can become happy, healthy and rid yourself and physical and mental anguish. Can the trumpets please begin to play? Lol…I say yes! Let me leave you with that today. As you begin your yoga journey at ASH, I challenge you to keep going to your mat, look into your own eyes, and continue to reach for self-realization. The recurring theme will always be “come find out who you are.” Once you start waking up your mind, it will all come together – Mind, Body and Spirit. Yoga: I want to take my first hot yoga class. Yoga: Where do I start? Yoga is about you. It is about spending time with yourself and taking care of yourself. So, find a place where you want to spend time. A place where you like the environment and the energy. The studio should have a good heating system and good supportive flooring. Hot Yoga is practiced in a hot room and you are barefooted. You will need a towel, a mat, and water. It is important to keep hydrated and you must drink water before practice. Most studios will have all that you need, so you can just go with an open mind. Wear something close fitting and comfortable. Remember, your time is all about you, so don’t worry about what others might be wearing or what their bodies look like. Eventually, you will want to buy your own mat. There are many on the market. There is no need to buy expensive mat if your studio has good floors. 3. What if it is too hot? At 105 degrees and 40% humidity, you won’t get too hot. A big part of the practice is learning how to breathe and being aware of your physiological functions. Your mind is more powerful than you know. This is a gentle healing practice. Take your time and listen to your body. Breathe. Breathe. Breathe. It is normal to feel a little abnormal when you start spending time in the studio. Be patient with yourself. I am not really flexible. What if I can’t do the poses? Again, this is all about you. Learning to be gentle with yourself takes time. Learning to let go takes time. Do the best you can. Every day will be different. Your body will tell you when you can take on more challenging poses. When you begin, try to take your first five classes in about 10 days. Most studios will have an introductory package for new students. Never be afraid to ask questions. Yoga teachers are there to help you on your journey. Why the Heat in your Hot Yoga or Pilates Classes? This is the original hot yoga it is done at 105 Degrees with 40% humidity. Bikram Choudhury, who was told he would never walk again decided to increase the temperature and humidity when doing these postures. By doing this he was able to heal himself and eventually millions of other people all over the world. Yoga originated in India where temperatures naturally reach over 100 degrees hence adding the heat created the natural environment where these postures started. In Bikram Yoga we do the same 26 postures and 2 breathing exercises every class, this allows practitioners to also get into an even deeper meditation. All Bikram Yoga postures are beginner postures so no matter the age or flexibility everyone can do this class. In order to practice yoga and pilates postures safely the heat is extremely necessary, for starters it is much safer than stretching muscles in a cold room. Warm muscles are more flexible and allows the body to go further hence getting maximum benefits. This means you will not only burn more fat but speed up breakdown of glucose and fatty acids. It also, thins blood which flushes the circulatory system. The Heat helps to opens capillaries allowing high speed oxygenated blood to go to muscles, tissues, glands. It also helps to detox the body flushing waste and toxins out through the surface of your skin which is the bodies largest organ. Hot Yoga can heal old injuries developed from running, biking, weight lifting and other activities that have high impact on the joints. The key focus is always healing and alignment. Our Hot room is not as hot as a hot tub and much lower compared to a sauna. 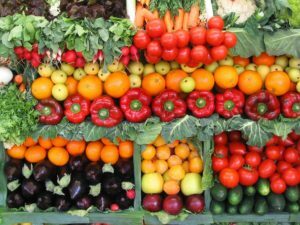 As your body acclimates to the heat day by day you will reap lifelong benefits as you reverse the aging process. At ASH Hot Yoga Babylon we offer Bikram Hot Yoga, Hot Vinyasa and Inferno Hot Pilates. Vinyasa and Pilates are done at 95 degrees due to the fact that movement creates more heat. Try a class today and see your life change. Gain energy, detox, lose weight, de-stress, feel great and look amazing. Start healing your Body from the inside out. Come see the difference between our classes and other studios. The greatest gift you and give yourself if a happy and healthy life. By doing these classes you will bring your health in unison mind, body, and spirit. Remember to dress appropriately, so no loose clothing, bring an open mind and don’t forget to drink lots of water.